Sometimes as a Mom, I have to get sneaky. My kids say they hate some vegetables. Mushrooms are at the top of a very long list. So I got sneaky and put a pound of mushrooms into a bolognese sauce that they gobbled up and never were the wiser. ** Patting myself on the back**! 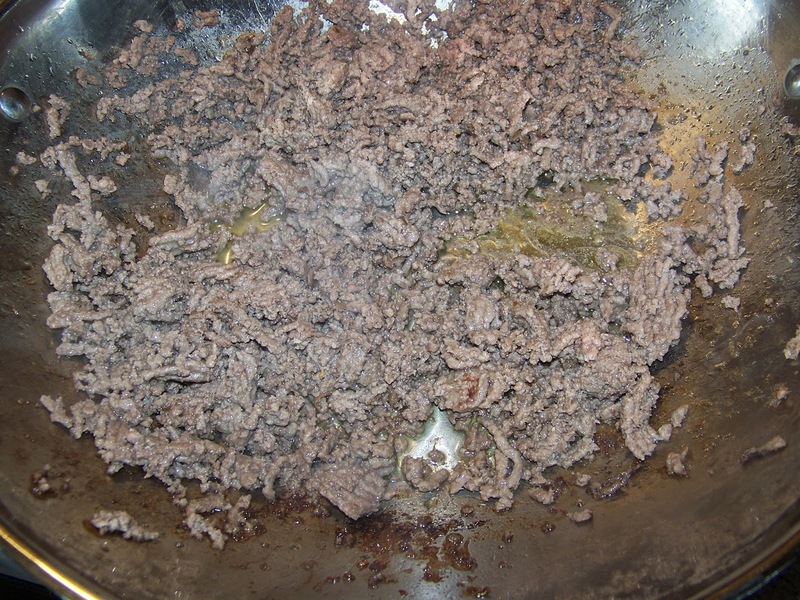 The fact is mushrooms can mimic ground beef if you prepare it at the right texture. I used my trusty food processor to make the prep on this dish even easier by chopping all my vegetables in it so they were nice and small. There were no big pieces of veggies to interrupt the beef and the sauce on the pasta. All I heard was slurping and happy forks at the table. If they only knew all the vegetables like mushroom, zucchini and carrot that I actually had going on in the dish... they may not have been very happy with me. 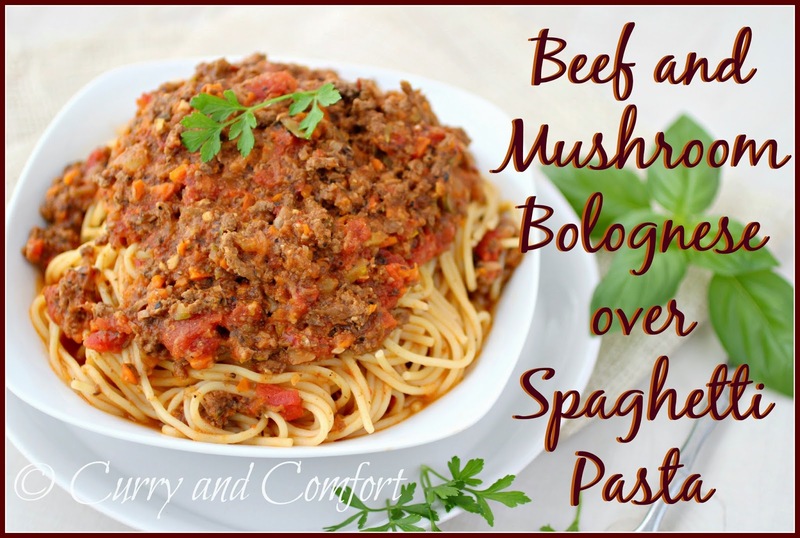 It's also a great way to lighten up a pasta dish and save on the need to spend more money on ground beef. I like to use very lean beef to make the dish even more figure friendly. This pasta was perfect and it gave me a little giggle being so sneaky. 1. 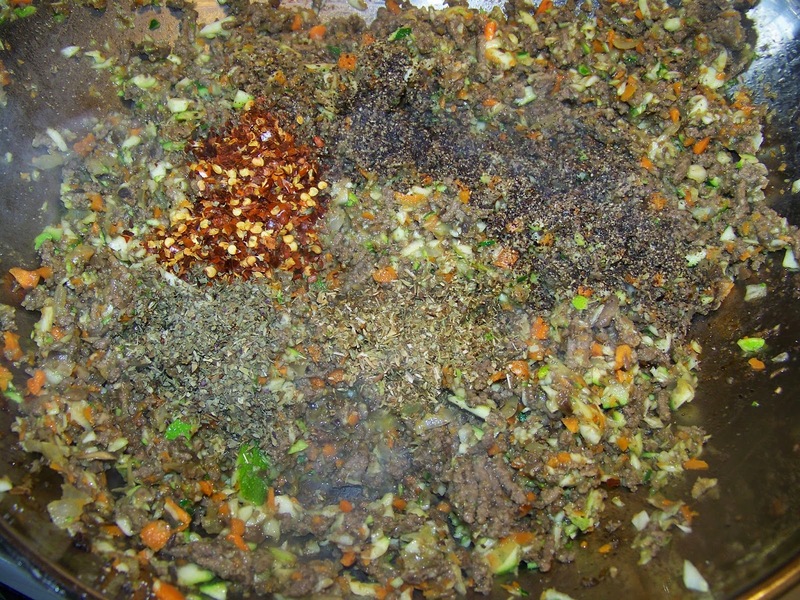 Prepare vegetables by placing mushrooms in a food processor and pulsing until it's a coarse mince. Then do the same for carrots,onion and zucchini. 2. Next brown beef in a hot pot with a little canola oil. 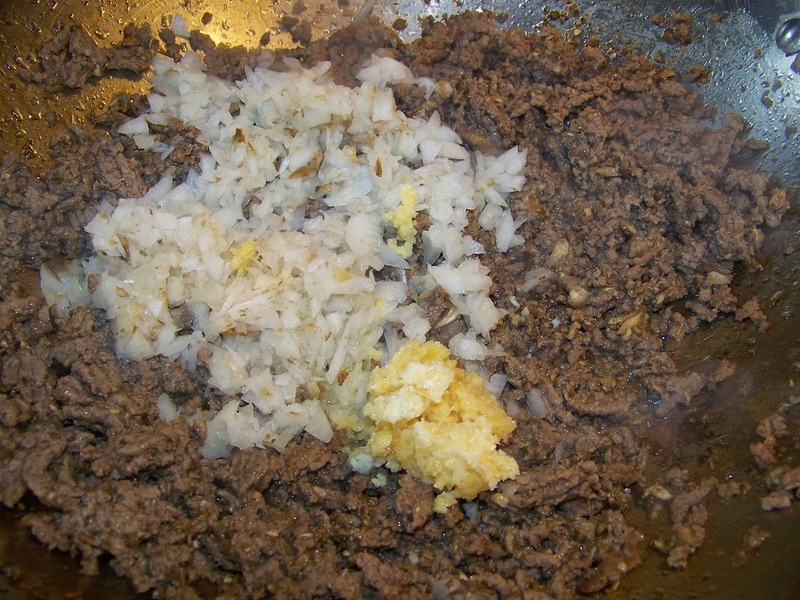 Once beef is browned add the minced mushrooms and brown with beef. 3. Then add the onion and garlic and saute for 2 minutes with some salt and black pepper. 4. Next add the carrot and saute for another minute. Then add the zucchini and saute for another minute. 5. Add the seasoning of oregano, basil and red chili flakes. 6. Then add the stewed tomatoes and crush with a potato masher. 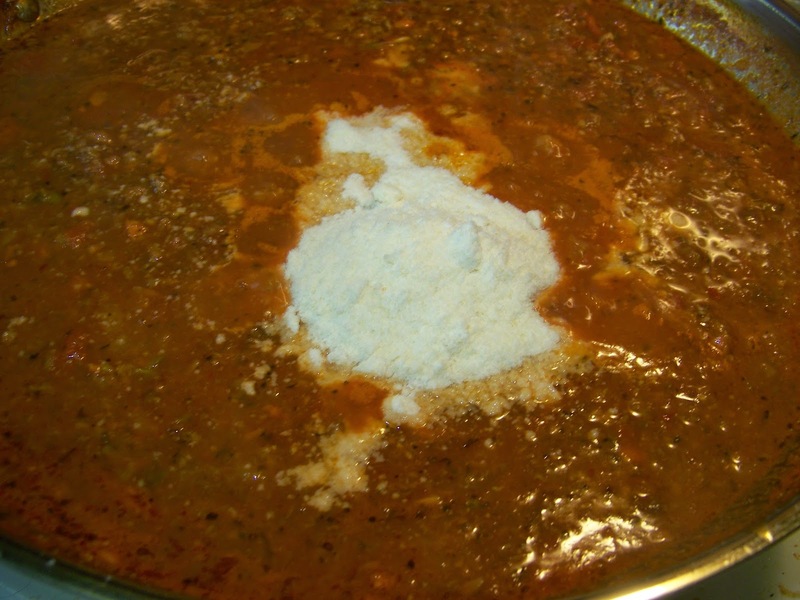 Next add the crushed tomatoes and starchy pasta water. Cook for 30 minutes. 7. Finish off with milk and Parmesan cheese. Taste for salt and seasoning. 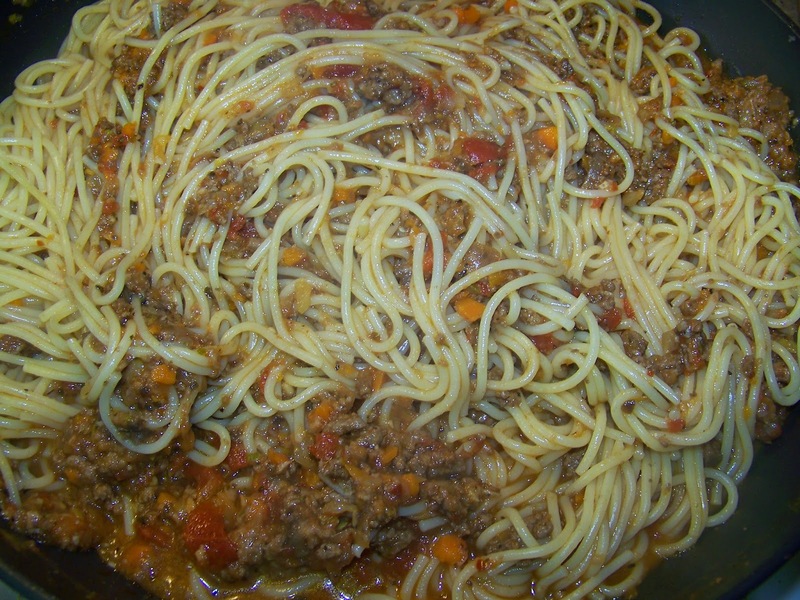 Add half of the bolognese to the drain pasta in in a pot. 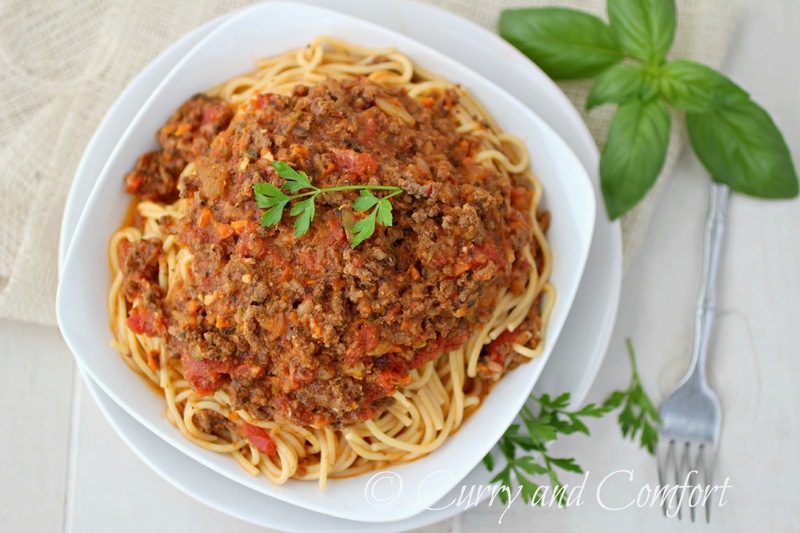 Serve remaining bolognese at the table for guests to top pasta off. 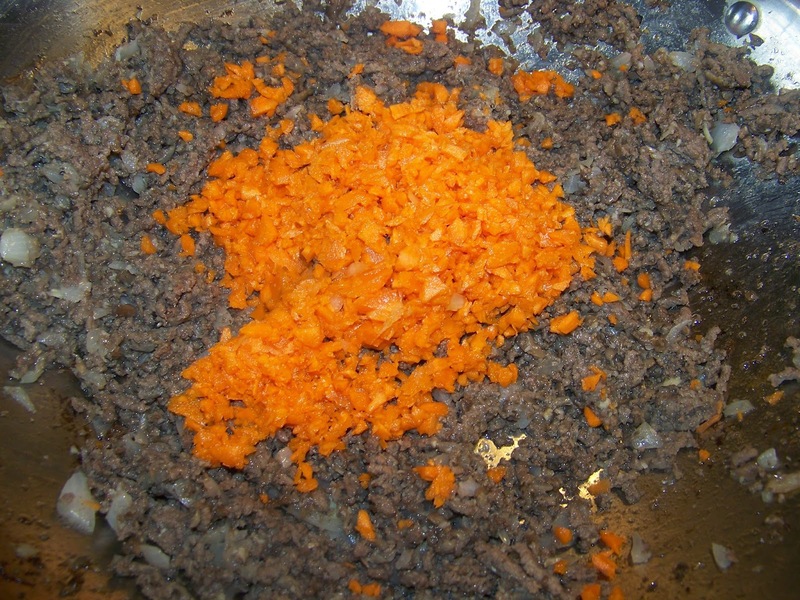 Prepare vegetables by placing mushrooms in a food processor and pulsing until it's a coarse mince. Then do the same for carrots,onion and zucchini. Next brown beef in a hot pot with a little canola oil. 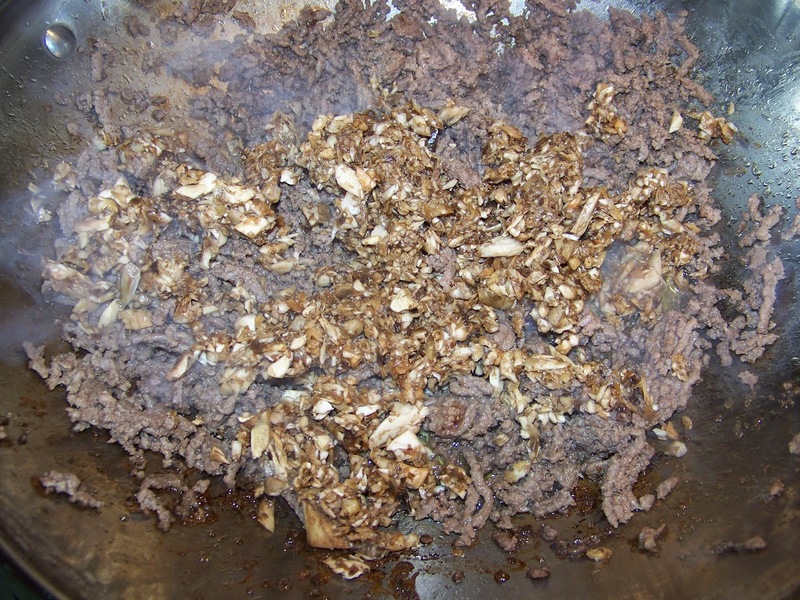 Once beef is browned add the minced mushrooms and brown with beef. Then add the onion and garlic and saute for 2 minutes with some salt and black pepper. Next add the carrot and saute for another minute. 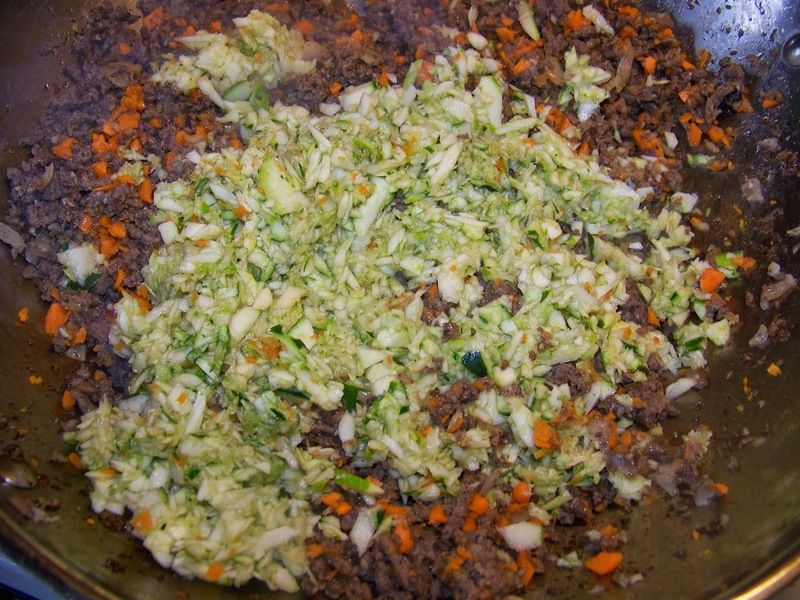 Then add the zucchini and saute for another minute. Add the seasoning of oregano, basil and red chili flakes. Then add the stewed tomatoes and crush with a potato masher. 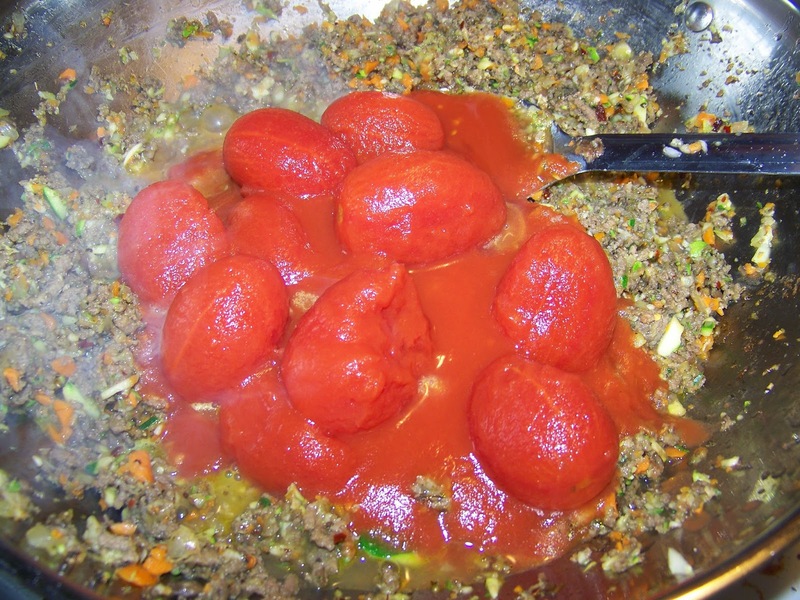 Next add the crushed tomatoes and starchy pasta water. Cook for 30 minutes. Finish off with milk and Parmesan cheese. Taste for salt and seasoning. 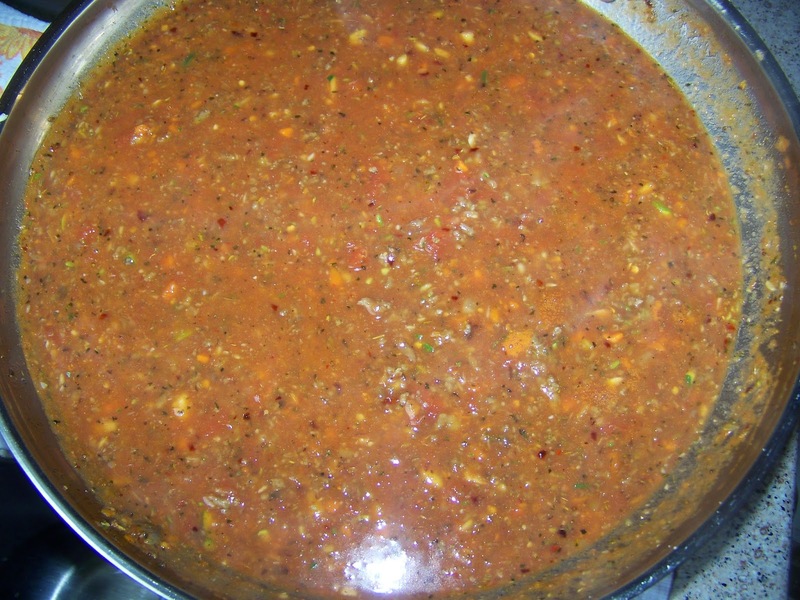 Add half of the bolognese to the drain pasta in in a pot. 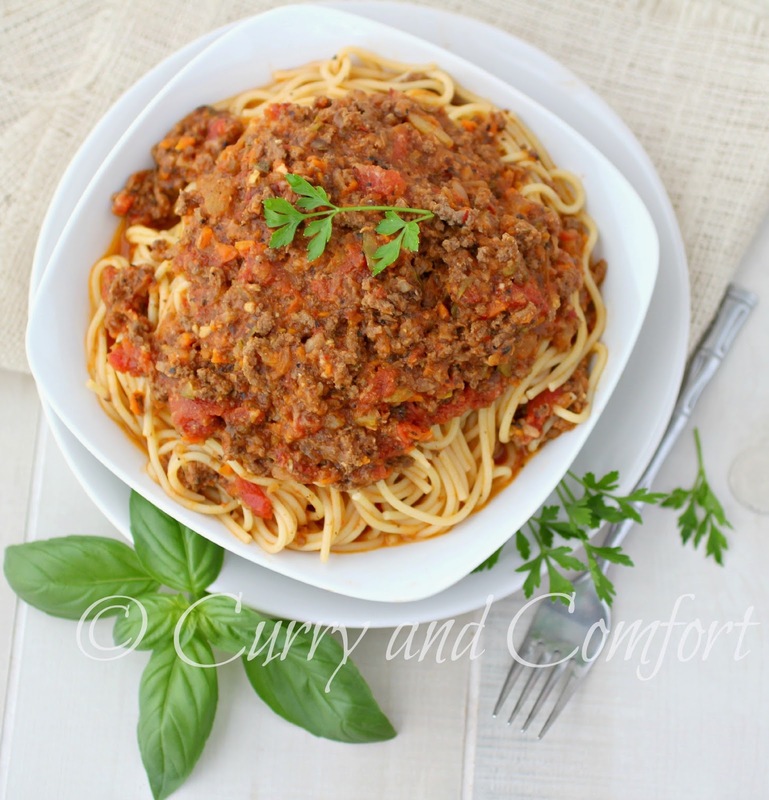 Serve remaining bolognese at the table for guests to top pasta off. I would gobble this right up!!! When my kids were young I used to do the same thing. They never knew. My son would have fallen into the deep end of a tantrum if he'd known. Thankfully he never found out. :) I'd love this even if the mushrooms were big!